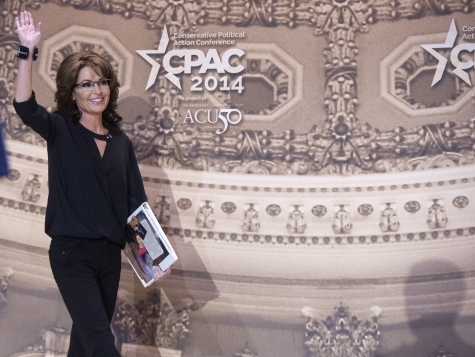 Sarah Palin has had enough of the Democrats’ phony “war on women” rhetoric, and she called out liberals in a thundering speech at CPAC on Saturday for treating women voters like “cheap dates” that they can snooker with cheap slogans. Those like Kate Obenshain, the former head of the Republican Party of Virginia who could probably be a better candidate or spokesperson than most people the GOP throws out, have urged Republicans to not let the Democrats’ “war on women” rhetoric go unanswered and go on offense with their message to women voters. And that is exactly what Palin, the North Star of the women-powered Tea Party movement, did. Polls have found that young voters are increasingly pro-life, and Palin has a way of speaking to them in a language that can resonate far beyond the stale talking points produced by the permanent political class in the GOP establishment.